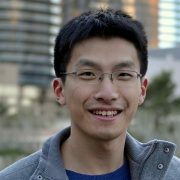 Ming Liu is a Senior Research Hardware Engineer working on Project Brainwave/Catapult, leveraging FPGAs to accelerate machine learning applications in the cloud. His primary research interests include hardware design (FPGA/ASIC), machine learning, application-specific accelerators, embedded systems and computer architecture. Prior to joining Microsoft Research, he was a research assistant at MIT, where he was a core member of the BlueDBM project. Ming has a MS in Computer Science from MIT and a BASc in Computer Engineering from the University of Toronto.